When you live in Northwest Florida, humidity is inevitable. The warm weather we enjoy so much is saturated by a significant amount of water, which generates the excessive moisture around you. While many fear what the humidity means for their hair or their skin, have you thought about what it means for your home? 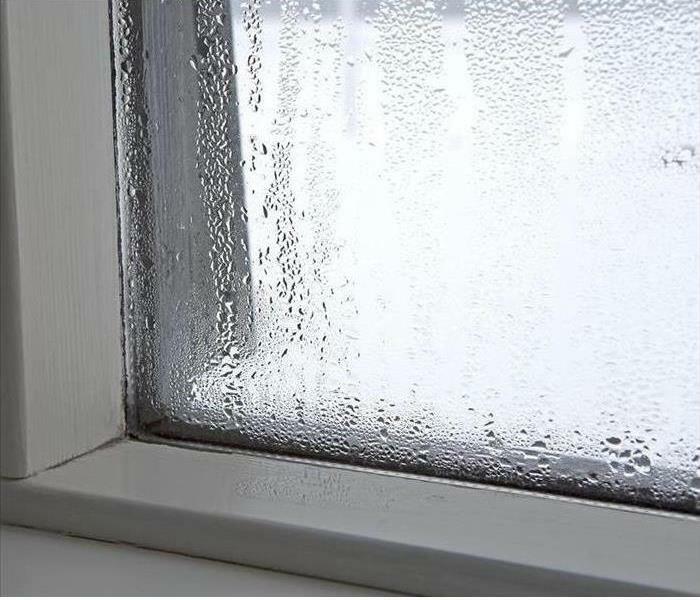 In humid climates, homes run serious risk of damage from collecting all of the moisture the air carries. A common result of high humidity levels in your home is mold. Mold grows quickly in warm, damp conditions and can fester into an entire colony within 24 hours of their spores attaching themselves to surfaces and feeding. As mold grows and spreads throughout your home, allergens and irritants are released into the air which creates a dangerous situation for you and your family. The allergens and irritants can become toxic, causing respiratory problems and other health issues. That’s why it’s critically important to take steps in preventing mold growth in the first place. We recommend starting with a dehumidifier for your home. Using a dehumidifier will help you maintain optimal humidity levels that are both healthy and comfortable. Running fans, and checking on your HVAC system will also help keep the humidity down. Make sure everything is running smoothly and functioning properly to help circulate air flow, and if you need help with an inspection you can always call SERVPRO of North Pensacola. We’ll also help check your vents, filters, and make sure everything is in good working condition. If you do discover mold growing in your home, it should be dealt with immediately - it can be harmful to your home and your health. Call SERVPRO of North Pensacola at 850-466-3076 and our quick response team will be there to begin the mold remediation process right away. When Storms or Floods hit Pensacola, SERVPRO is ready! SERVPRO of North Pensacola specializes in storm and flood damage restoration. Our crews are highly trained and we use specialized equipment to restore your property to its pre-storm condition. When storms hit Pensacola, we can scale our resources to handle a large storm or flooding disaster. We can access equipment and personnel from a network of 1,650 Franchises across the country and elite Disaster Recovery Teams that are strategically located throughout the United States. Flooding and water damage events at Pensacola commercial properties are often complex with numerous issues that require a knowledgeable and flexible response. Whether we’re dealing with a relatively small water cleanup scenario or a large scale event, we work quickly to assess each unique situation and isolate the damaged area. In many instances, normal operations can continue in a temporary space while we restore your facility. SERVPRO of North Pensacola specializes in the cleanup and restoration of commercial and residential property after a water damage event. Our staff is highly trained in property damage restoration. From initial and ongoing training at SERVPRO’s corporate training facility to regular IICRC-industry certification, rest assured our staff is equipped with the knowledge to restore your property. SERVPRO of North Pensacola provides 24-hour emergency service and is dedicated to being faster to any-sized disaster in Pensacola. We can respond immediately to your emergency and have the expertise to handle your restoration or cleaning needs. SERVPRO of North Pensacola is available 24 hours a day for water emergencies, large or small. When you are dealing with water damage, immediate action is crucial. A delay of just a few hours can greatly increase the severity of the water damage. We understand that when you call us, you may be feeling confused, stressed, and vulnerable. You need an expert to guide you through this crisis. SERVPRO of North Pensacola has the specific water damage training and experience to help you through this tough time. We specialize in water damage restoration—in fact, it's the cornerstone of our business. SERVPRO of North Pensacola specializes in the cleanup and restoration of residential and commercial property after a fire, smoke or water damage event. Our staff is highly trained in property damage restoration. From initial and ongoing training at SERVPRO’s corporate training facility to regular IICRC-industry certification, rest assured our staff is equipped with the knowledge to restore your property. Contact SERVPRO of North Pensacola for mold remediation services. SERVPRO of North Pensacola specializes in mold cleanup and restoration, in fact, it’s a cornerstone of our business. Our crews are highly trained restoration professionals that use specialized equipment and techniques to properly remediate your mold problem quickly and safely. 1/8/2019 - When Storms or Floods hit Pensacola, SERVPRO is ready! 3/9/2017 - Need Emergency Service?